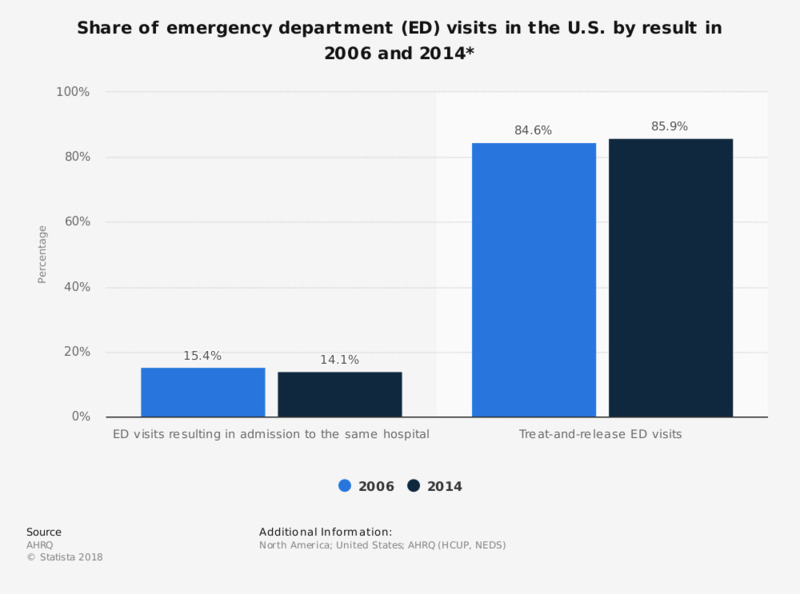 This statistic depicts the share of emergency department (ED) visits in the United States in 2006 and 2014, by result. Almost 86 percent of emergency departments resulted in a treat and release visit during that year. * N=120.0 million in 2006, and N=137.8 million in 2014.